ST. GEORGE — Sunday afternoon, police officers caught one man after chasing two suspects in association with a reported trespassing of a business in St. George. As of 3:25 p.m. the other male suspect was still at large. At approximately 2:30 p.m. police began searching for two men near the Skywest building, 444 S. River Rd., according to radio dispatches from the St. George Communications Center. The search continued as police hunted for the men through neighborhoods and business areas between the Skywest building and the St. George Boulevard Interstate 15 on-ramp/off-ramp according to dispatches. 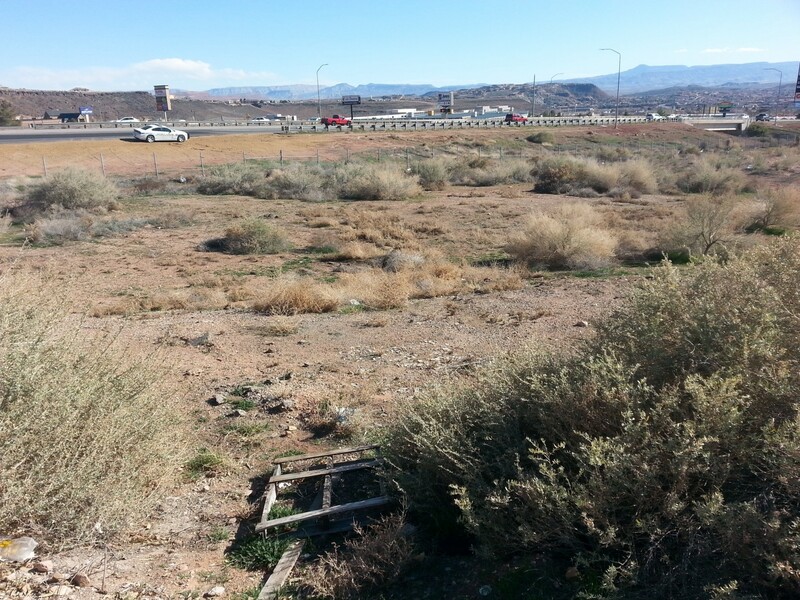 Officers were seen searching through the desert shrubs between I-15 and Dixie Gun & Fish, 1094 E. Tabernacle Street. St. George Police Sgt. Dave Williams was on scene and said that they had caught one of the suspects but were still searching for the other man. Because the police officers were still searching for the second suspect, Williams could not release a full report.